What do images of illness, vampirism, wounds, and addiction say about contemporary fashion? Contemporary experimental fashion has a dark side, a preoccupation with representations of death, trauma, alienation, and decay. This book looks closely at this strand of fashion design in the 1990s, exploring what its disturbing themes tell us about consumer culture and contemporary anxieties. 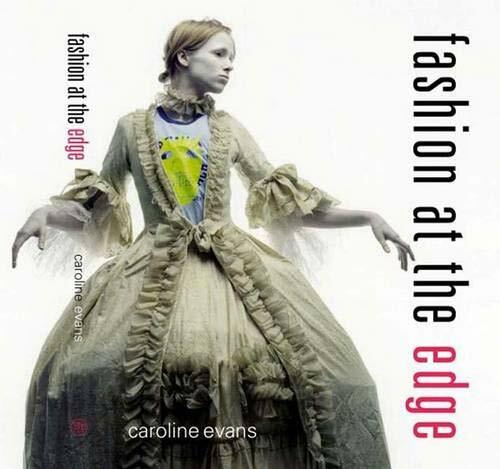 Caroline Evans analyses the work of experimental designers, the images of fashion photographers, and the spectacular fashion shows that developed in the final decade of the 20th century to arrive at a new understanding of fashion's dark side and what it signifies. "Fashion at the Edge" considers a range of cutting-edge contemporary fashion in unprecedented depth and detail, including the work of such current designers as John Galliano, Alexander McQueen, Hussein Chalayan, and Viktor & Rolf. Contrasting images by photographers like Steven Meisel, Nick Knight, and Juergen Teller are also reviewed. Drawing on diverse perspectives from Marx to Walter Benjamin, Evans shows that fashion stands at the very centre of the contemporary, and that it voices some of Western culture's deepest concerns.